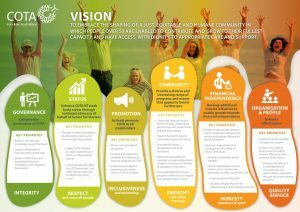 COTA NT’s vision embraces the shaping of a just, equitable, age-friendly and humane community in which people are enabled to contribute and grow to their fullest capacity, and have access, with dignity, to appropriate care and support. Our mission is to empower older people, those who work with them, government and the community into achieving well-being and social justice for older people. 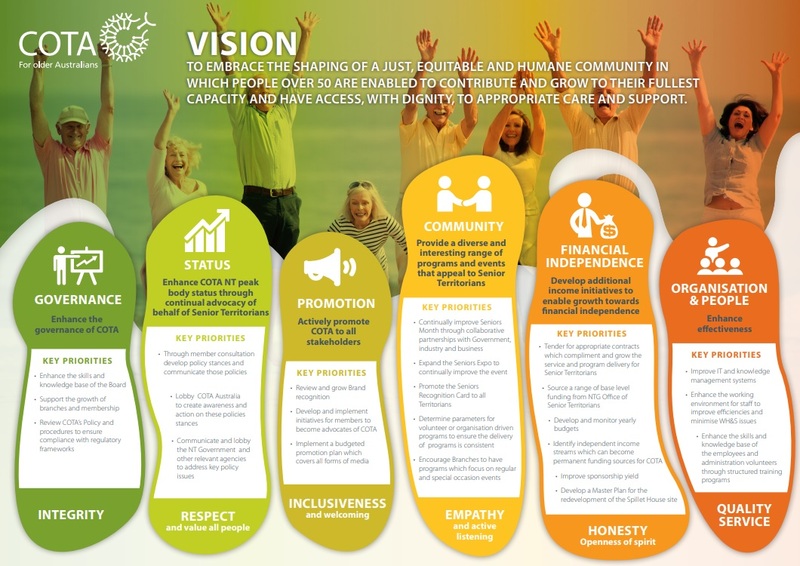 You can view COTA NT Strategic Plan 2018 by clicking on the link. Take a leading position in age discrimination with a positive staffing policy.